As India saw the dawning of independence from British colonial rulers, there were princely states who refused to be part of the union, desiring rather to preserve their old dominions. This report uses confidential documents bequeathed to the author by his grandfather, who was a close aide of Jawaharlal Nehru, to describe one such rebellion, that by the Deccan Princes. Once India’s independence was announced, many of the smaller princely states sought to cobble up confederations for themselves. Chicanery and duplicity were widely prevalent at every level of the Princely States. As threat to their fiefdoms grew, these states pursued every possible strategy to defend their autonomy. One such move came about in the Deccan, where eight of the 18 Princely States entered into a covenant to protect themselves not only against the British, but also the Indian National Congress. Under the guise of this covenant, they planned to create their own, sovereign government with a common executive, judiciary and customs boundaries, and to pool their resources, rights, and authorities for their collective goal. It was a unique gambit, one that sought the blessings of Mahatma Gandhi. This effort by the princes, however, met with stiff resistance from the people. The Deccan States’ Peoples’ representatives met under the presidency of H K Veerana Gowdh at Chitradurga on 16 November 1947, and thereafter presented their case before the Congress leadership in Delhi in an effort to thwart the princes’ designs. The plan of the princely states in the Deccan was simple but efficient: Eight of the 18 Deccan States entered into a covenant with the objective of forming a single state with a unitary government, which would have common executive, judiciary and customs boundaries. The abolition of separate boundaries was proposed, along with the sharing of resources, their individual rights, privileges, and authorities. It was an ingenious scheme to retain control and power, at a time when India was already independent. Opposing this, a memorandum was submitted by the Deccan States’ Peoples’ delegation to the Congress leadership on 1 December 1947. The situation was fluid, as all sorts of schemes and plans were being thought of by the princes. The Congress party—then standing in the throes of bloodletting from the partition of India–found itself grappling with plans like this one by the Deccan princes. The provisions of the covenant primarily aimed at perpetuating the autocratic powers of the princes to the continued detriment of the rights and interests of the common people. The princes and their agents made frantic efforts to mobilise public opinion in their favour. They also tried to give a false impression to the Congress leadership that the scheme was democratic in nature and would protect the rights of the common people. The memorandum submitted by the Deccan States’ Peoples’ delegation to Pandit Jawaharlal Nehru and other senior Congress leaders in December 1947 aimed to expose the hollowness of the scheme. The 18 Deccan States were scattered in the six districts of Bombay Province—Belgaum, Dharwar, Bijapur, Sholapur, Satara and Poona. Of these six districts, four were in present-day Karnataka and two, in Maharashtra. These 18 States were not even geographically contiguous, and formed little islands in the Bombay province. The distance from the northern end to the southern end was nearly 400 miles, and between the easternmost and westernmost points, some 200 miles. But the total combined area of the 18 States was about 11,000 square miles, with a population of not more than 2,800,000 and revenues of 16,000,000 rupees. Of these, the eight states that had come together to form a union had a total combined area of only 2,633 square miles, a population of 900,000, and with a meagre revenue of 3,900,000 rupees from territories consisting of 70 scattered tracts of land, big and small. Further, these states were not even linguistically nor culturally homogenous, and together, at best, formed two districts—the northern part, in Maharashtra and the southern part in Karnataka. The effort of the Deccan princes was clearly going against established norm. The resolutions passed in the All India States’ Peoples’ Conferences (AISPC), first in Ludhiana in 1939 and then in Udaipur in 1946, and the Standing Committee meeting of the AISPC in June 1946 stated something different. The Ludhiana Resolution had said that States with revenue less than 5,000,000 rupees or a population of 2,000,000 may be maintained as autonomous units along with the Provinces. The Udaipur Resolution, on the other hand, considered it necessary that in the interest of efficient administration and maintenance of modern standards of social and economic welfare, only states or groups of states with a population of 5,000,000 and a revenue of 30,000,000 crore rupees and above should be given the status of units of a free and federal India. In furtherance of the Udaipur resolution, the Standing Committee in Delhi passed a resolution on smaller states requesting all regional councils to recommend schemes for the formation of units, keeping in view not only the “linguistic and cultural basis” but also geographical contiguity. The Standing Committee, in the same resolution pointed out that, “most of the smaller States would inevitably be absorbed in large units of the federation which generally should be neighbouring provinces.” It also said that, “it may be feasible and desirable in certain cases to group together a number of small States which are contiguous in order to form federal units.” The eight states, which were proposing to form a union, were falling well short of these vital parameters. As this self-proclaimed union did not conform to any of the AISPC resolution requirements, efforts to overcome these hurdles began. One tactic adopted by the Deccan princes was to approach Mahatma Gandhi, first at Panchgani and then at Poona, to seek his blessings. Gandhiji told them that they should consider themselves to be the trustees and servants of their people and must think of a union only with the peoples’ consent and cooperation. He pointed out that they should have consulted their people at the outset, which would have led them to a drastically different proposal than the one they were submitting to him. Gandhi also insisted that the people should have control over their privy purses. However, the princes persisted; among the posers for Gandhiji was that unless they formed a union, how could the individual states be expected to survive? The other issue that they raised was their desire to form a union without going through the formality of a Constitution Committee as they were anxious to give Swaraj to the people. To the first question, Gandhi replied directly by saying that it was incumbent upon the princely states to become part of the Union of India to simply exist and survive. He had a more measured response to the second question. He criticised their approach, saying that if they genuinely had the interests of their people at heart, then they should immediately grant full freedom to the people. In parallel, a Constitution could be drafted. He told them that they should give up the idea of a separate union and leave this task to the Constitution-making body. He advised them to meet with Jawaharlal Nehru, who was president of the AISPC. Gandhi was certain that Pandit Nehru could guide them appropriately. Efforts to negotiate with Nehru began subsequently. In August 1946 the Raja of Phaltan wrote a letter to Nehru, seeking his advice. In his reply the following month, Nehru said that in the formation of a Union, the Deccan States must inevitably depend upon the popular reaction to the proposal. At the same time, it needed to be seen whether this union was an organic one or just an administrative arrangement put together by the various states. Nehru wrote, “We have to first of all examine the whole background—geographical, linguistic, cultural—and then of course the most important the exact desire of the people concerned. Any step taken, even a right step without the consultation and concurrence of the people is likely to lead to their opposition and this might defeat any scheme…I understand that there is a considerable amount of opposition on behalf of the Praja Mandals and peoples’ organisations in some of the Deccan States to this proposal of a Union…None of the arguments advanced seem to have force. For instance, the Deccan States are rather spread out, are not contiguous, and areas are separated from one another with islands here and there. This obviously would come in the way of administrative and economic development.” He echoed Gandhi’s advice to them: The first step should be for each state to provide a responsible government. He added that any limitation placed in the Constituent Assembly’s way will be highly undesirable and will simply irritate the people concerned. Despite the best efforts of the eight Deccan States to come together, popular opinion was against them. In Delhi, a last-ditch attempt was made on behalf of the princes, through a meeting held in January 1947 between the Princes’ representative, K V Godbole, and Shankar Rao Deo, S Nijalingappa, R R Diwakar and Pattabhi Seetharamiah. A 10-point agenda was drawn up following two meetings. The convening of a Constituent Assembly to draft a Constitution on the basis of these fundamental points was suggested. It was also agreed that a convention of the representatives of the people—like an earlier one in Sangli in December 1946—should be held to consider the proposals. Eight of the 11 princes who participated in these Delhi talks ignored what had been agreed upon and entered into a covenant in October 1947. Given mounting pressure—buoyed further by populist opinion—a meeting was finally called under Dr Pattabhi Seetharamiah at Miraj, but the vehement opposition to the scheme and the draft Covenant, led to its abrupt dissolution. The next day, on 12 October 1947, the peoples’ representatives met at a conference in Lakshmeswar under the presidency of Mr Munuvalli, a member of India’s Constituent Assembly from the Deccan States (elected), and passed a resolution to the effect that the scheme was unacceptable as it was against the peoples’ interests. The Resolution also warned the Princes against any attempt to force it upon the people. By another resolution, the Conference set up a Council of Action to find ways and means of opposing what they called an ‘undemocratic’ attempt of the princes. The second day of November, 1947 was designated as a ‘Day of Protest’, with hundreds of meetings held simultaneously across the princely states. By this time, the princes were desperate and wished to craft their union through any means, even resorting to subterfuge. A meeting, hastily convened using telegrams, was called for on 29 October 1947 at Miraj. B V Shikare, who presided over the meeting, presented only one option to everyone—that of accepting the Covenant. Those who protested were forced to leave. A Praja Parishad meeting on 4 November 1947 at Grudger followed, where a resolution was passed opposing the Princes and declaring that satyagraha should be pursued to resist their plot. It is pertinent to understand the covenant at this stage and the reasons why it created a disturbance. At the outset, it was simply an agreement among the princes themselves, with the common people of the states being completely excluded from the process. The Preamble to the Covenant professed to acknowledge that all powers and authority emanate from the people and that a sovereign body composed of the people would formulate the Constitution. However, Article 1 (2) of the Covenant effectively limited the sovereignty when it provided that, “subject to the covenant all power shall emanate from the people.” This sovereignty was adversely affected by Article 111, which declared the Covenant to be the supreme law of the State. Article VII created a ruling body called Rajmandal, which under clause 7 (2) and 15 was to control every action of the Rajpramukha, who was to act as their sole representative. This agreement allowed the princes to bring people of several states, who owed allegiance to individual rulers, under their joint authority, however constitutionally limited. Whether this transfer of allegiance to a new body could be done without the peoples’ consent was the bigger question. Two administrative divisions – one of Kanarese speakers and the other of Marathi speakers – were to be formed. Any Covenant of this type, which hijacked the peoples’ wishes and rights was considered reactionary. The Rajasaheb of Aundh, with Appasaheb Pant as his prime minister, Shankarrao Deo and others had met Gandhiji earlier when he was in Panchgani. They prevailed upon Gandhiji to meet with the Deccan chiefs. When Gandhiji consented, the meeting took place on 28 July 1946, at the Servants of India Society’s Library Hall. Among those present were the Rajas of Aundh, Phaltan, Bhor, Miraj Senior, Jamkhandi and Kurundwad Senior, Appasaheb Pant and Mr Satwalekar from Aundh, Shire Kore, Sathe and Thombare from Sangli, the Dewan of Bhor, and representatives from Budhgaon and Ramdurg. Tatyasaheb N G Kelkar, Miraj lawyer and close associate of Bal Gangadhar Tilak, and Shankarrao Deo, who would become a member of the Constituent Assembly of India later in 1949, were also present as special invitees. During this meeting, Gandhi praised the princes for seriously thinking in terms of India as a whole, rather than just of themselves and of protecting the privileges they derived for years from their paramountcy and the British. 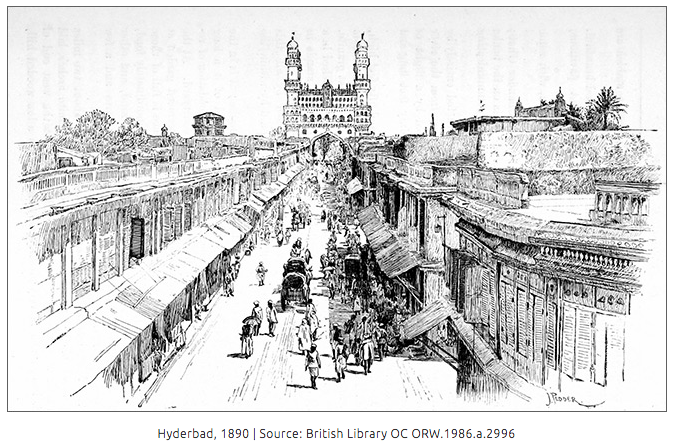 He argued that till a few years earlier, the princes felt that they would be safe only under the Paramountcy of the British Crown, and their acknowledgment of rapid changes taking place in an emerging India was a positive development. This was natural, according to Gandhi, as they were sons of the soil. He wanted the princes to first make a union with their own people and to act as their trustees. He was bold to take up this attitude, though his might have been a lonely voice. In his opinion, the princes—as servants and trustees of their people—had a role to play in this melding of the people with the rulers in the New India. Once they had done this, they would be in a better position to consider whether they wanted a union among themselves. Nonetheless, such a union would be different from the one they had originally conceived. Equally, Gandhi had a strong suspicion that the present proposal was a creation of the British rulers through their political agents. The argument being, that even as the British exit India, the princes could consolidate themselves as an alternative power centre through the union. This game of hunter and quarry carried on, where the wily princes attempted to court the troika of Congress politicians—Gandhiji, Nehru and Patel—one by one, but all to no avail. The Congress leaders were keen on their machinations and succeeded in preventing their endgame of a confederation in the Deccan from fructifying. Sandeep Bamzai is Visiting Fellow at Observer Research Foundation (ORF), New Delhi. He is Editor-in-Chief of Financial Chronicle.